This SAM100 medicine cabinet is manufactured in the UK and conforms to all relevant standards for medicines in healthcare environments. 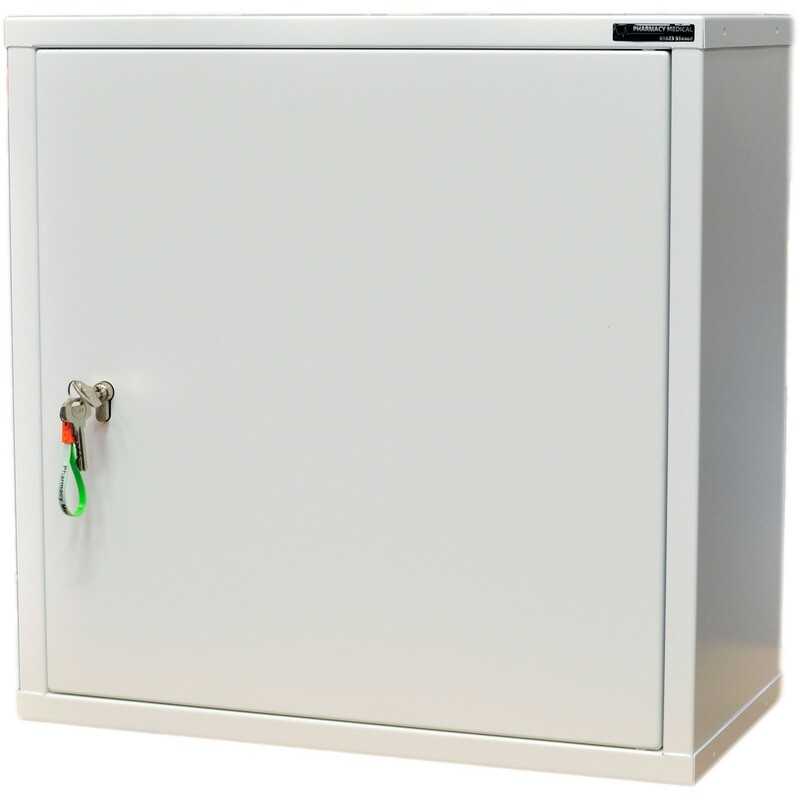 The cabinet conforms to BS2881:1989 (Security Level One) which is the specification for cupboards for the storage of medicines in health care premises. 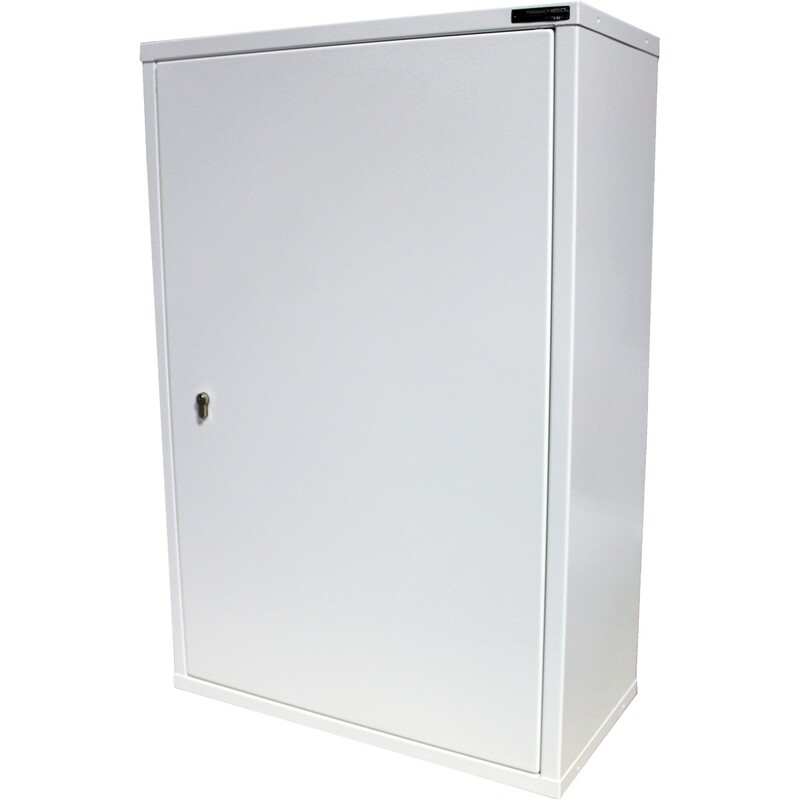 This SAM100 medicine cabinet has been manufactured from 1.2mm thick mild steel and comes complete with one 6-pin euro profile cylinder lock. The lock conforms to BS3621 and has been tested to meet BS:EN1303:2005. 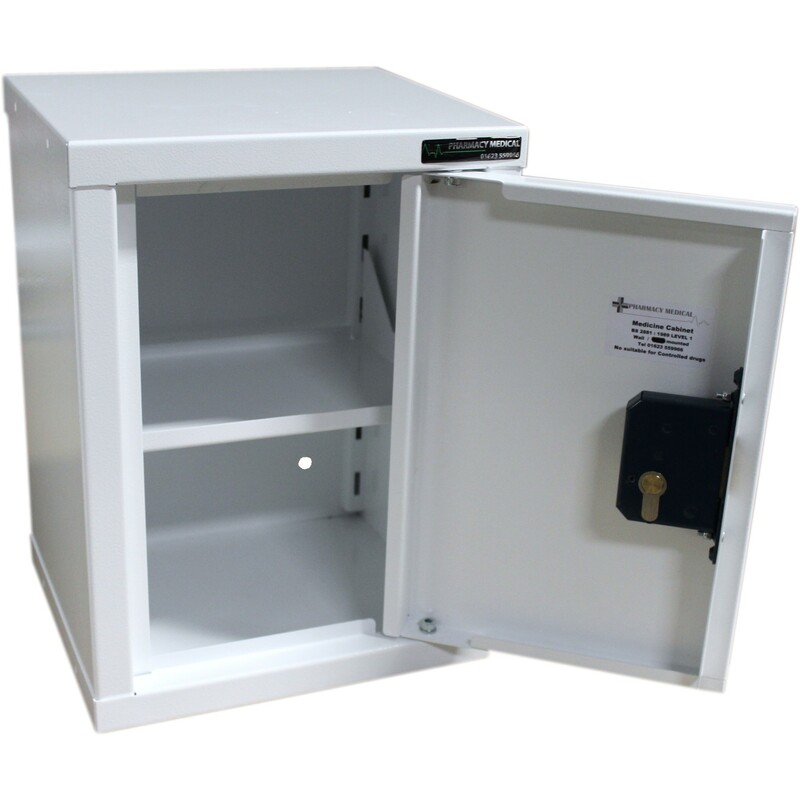 This cabinet is kept in stock at SafeAway and is available for next day delivery if ordered before 11am and subject to stock remaining unsold. The cabinets feature several design features that set them apart from their competitors. These medicine cabinets are a very popular choice for independent and NHS care homes, as well as NHS and private hospitals. The short lead times and market leading prices make them a very competitive and attractive package. The SAM100 medicine cabinet is the smallest sized package that we sell and is ideal for small or individual volumes of medicines often used in residents own rooms and comes with one height adjustable internal shelf, and no door shelves. This cabinet is not suitable for the storage of controlled drugs. 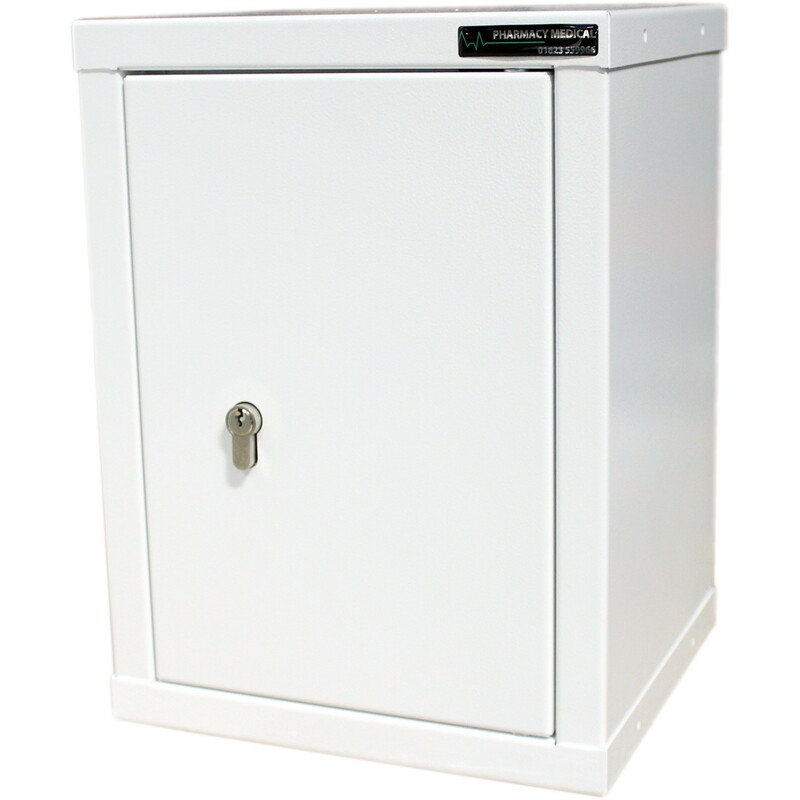 If you are looking for a controlled drugs cabinet, please click here. All of our cabinets are made in the midlands and dispatched using either APC couriers or via a pallet network. All deliveries are made to a single ground floor location however we will endeavor to make deliveries using our own transport wherever possible.